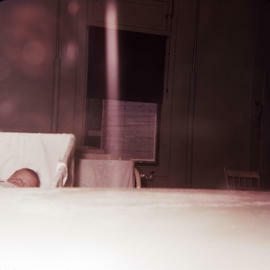 Leopold Bloch Bauer was born in Vienna, Austria in 1905. 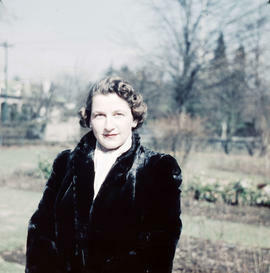 Bloch Bauer married Antoinette Ruth Pick and they had a son (Peter Bentley) in 1930. 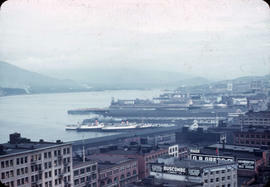 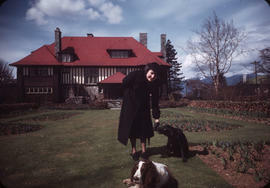 They, along with other family members, fled to Vancouver from Austria in 1938. 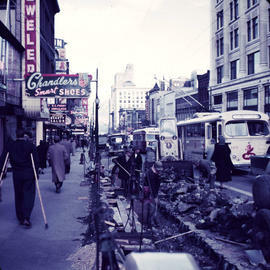 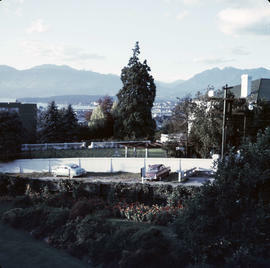 When they arrived in Vancouver they changed their last name from Bloch Bauer to Bentley. 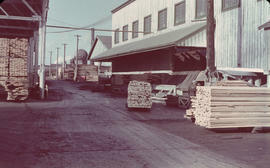 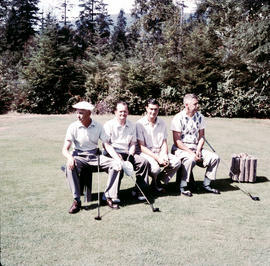 Leopold Bentley (along with John Prentice) founded the Pacific Veneer company, which later became Canfor Corporation. 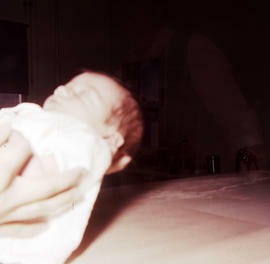 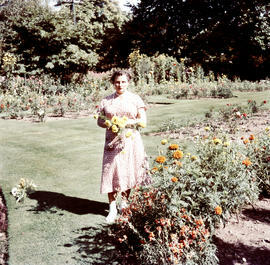 Antoinette Ruth Pick was born in Vienna, Austria in 1909. 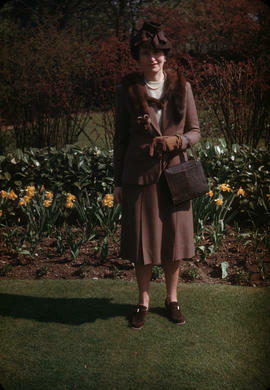 She married Leopold Bloch Bauer and they had a son (Peter Bentley) in 1930. 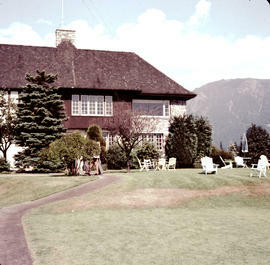 They, along with other family members, fled to Vancouver from Austria in 1938. 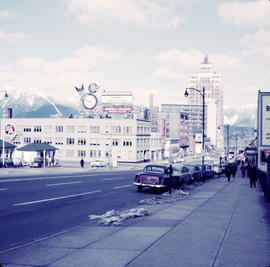 When they arrived in Vancouver they changed their last name from Bloch Bauer to Bentley. 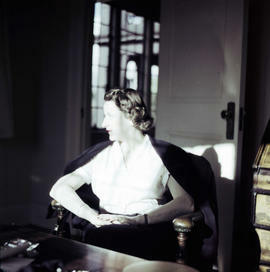 Antoinette Bentley was a world class dressage rider. 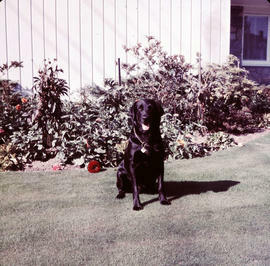 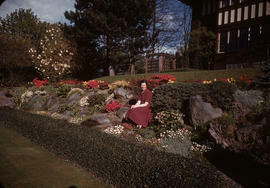 After moving to Vancouver she kept horses and a stable in the Southlands area of Vancouver, although she stopped riding competitively once she arrived in Canada. 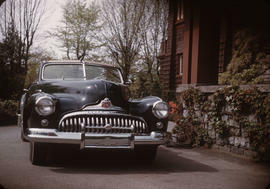 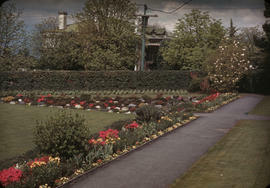 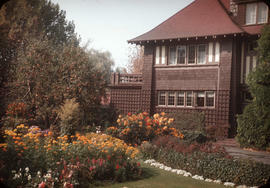 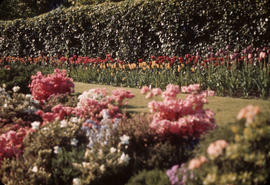 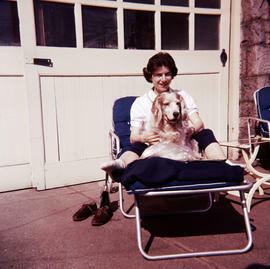 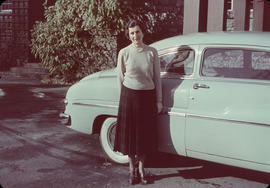 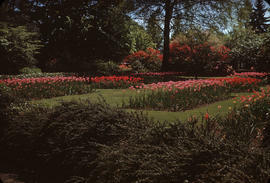 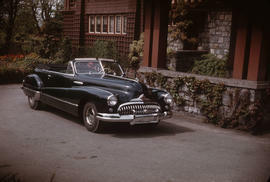 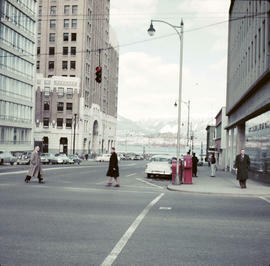 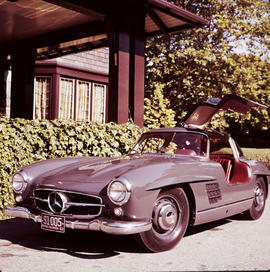 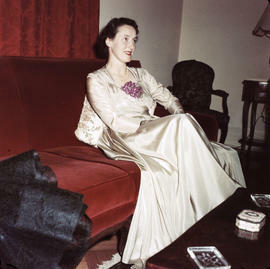 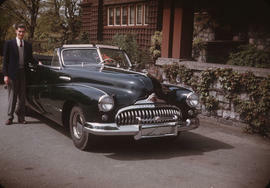 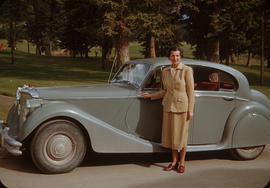 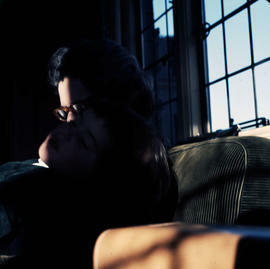 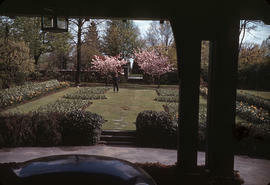 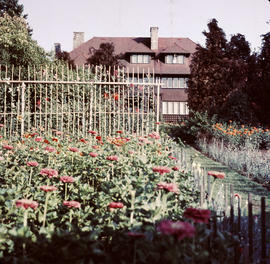 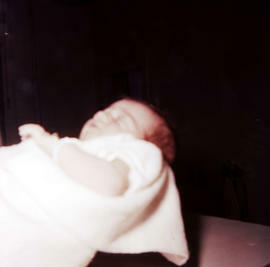 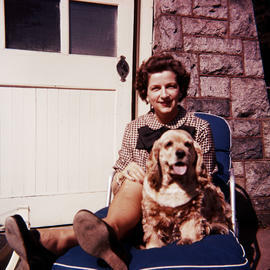 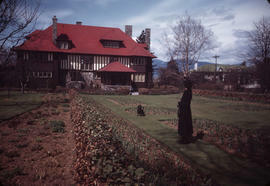 FIlms and slides were found at Hycroft Manor and given to the Archives in 2005. 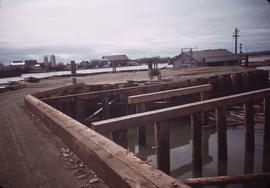 Peter Bentley officially donated the materials in 2013. 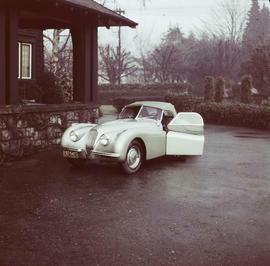 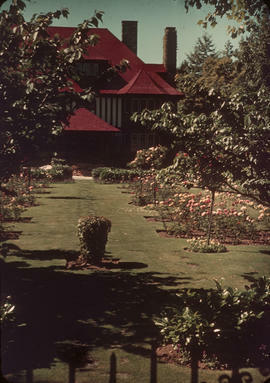 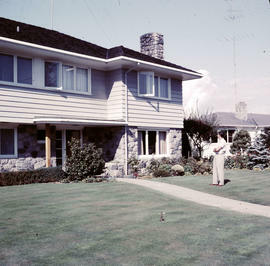 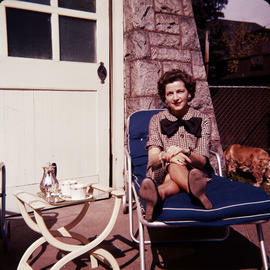 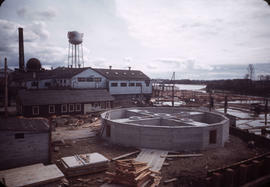 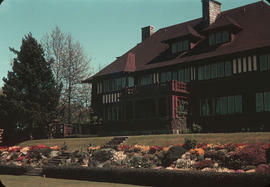 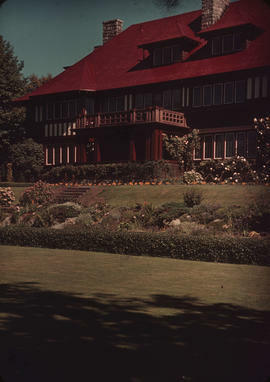 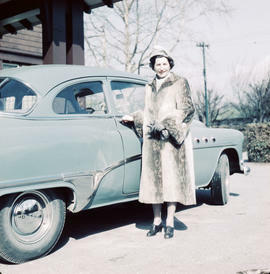 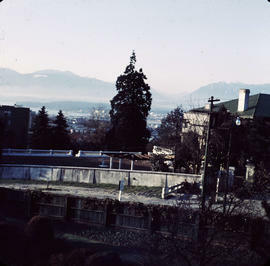 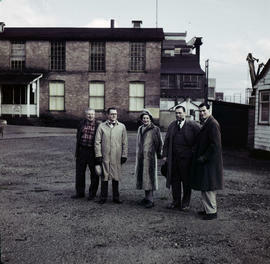 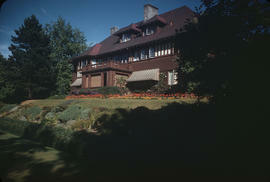 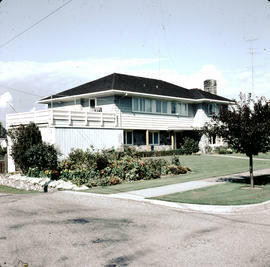 Fonds consists of 92 colour slides showing Bentley family members, the house and garden at 1402 McRae Avenue, the Eburne sawmill site, Vancouver views, house at 1537 Matthews Avenue and homes on 32nd Avenue. 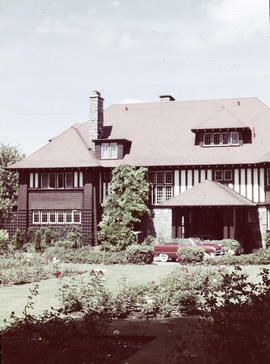 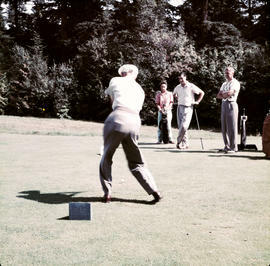 Fonds also contains four film reels showing the house at garden at 1402 McRae Avenue, driving cars in Shaughnessy, and men shooting rifles.